As manufacturing companies look to speed up the time to develop prototypes and therefore also increase the development of actual products, a challenge arises. 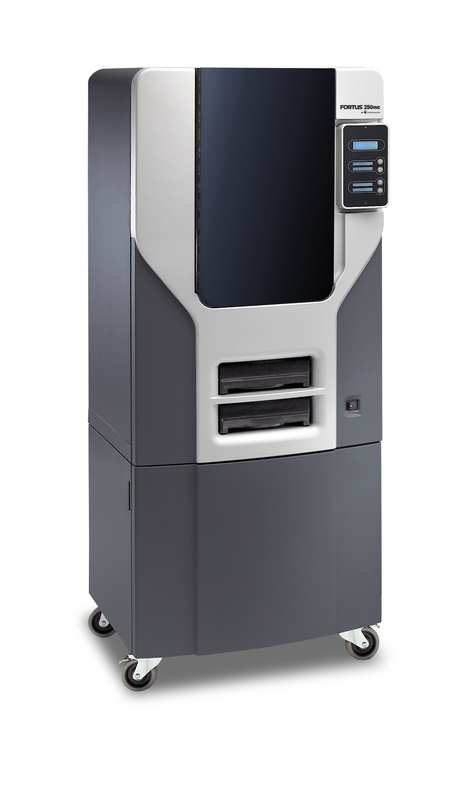 Vulcan GMS is proud to meet that challenge with the addition of the Fortus 250mc 3D printer to its product development workflow. This brand new 3D printer is able to produce prototypes directly from 3D models. Vulcan GMS has always worked hard to stay at the cutting edge of the manufacturing industry. By offering this 3D printer to customers needing specific prototypes, Vulcan can increase the speed and accuracy for the development of products. 3D printing (also referred to as additive manufacturing) is the process of creating a three-dimensional object in almost any shape or size from a digital model. In 3D printing, multiple material layers are laid down in different shapes to achieve the desired solid object of the digital model. 3D printing has been around since the 1980s, but has only become commonplace commercially for manufacturing in the 2010s. This Fortus 250mc 3D printer is produced by Stratasys, an international company that specializes in the production of 3D printing equipment and solutions for manufacturers. Besides achievable accuracy, this 3D printer is manufactured to produce prototypes in-house which speeds up the entire development process. The Vulcan GMS 3D printer is located at its Mill Road manufacturing facility for ease of use for all its employees and for all customers’ needs. An additional asset of the Fortus 250mc 3D printer is that the prototypes produced are exceptionally durable. Please contact Vulcan GMS to learn more about 3D printing or to discuss any 3D printer needs you may have in the future. Pingback: 3D Printing for Any Application - Even Halloween?